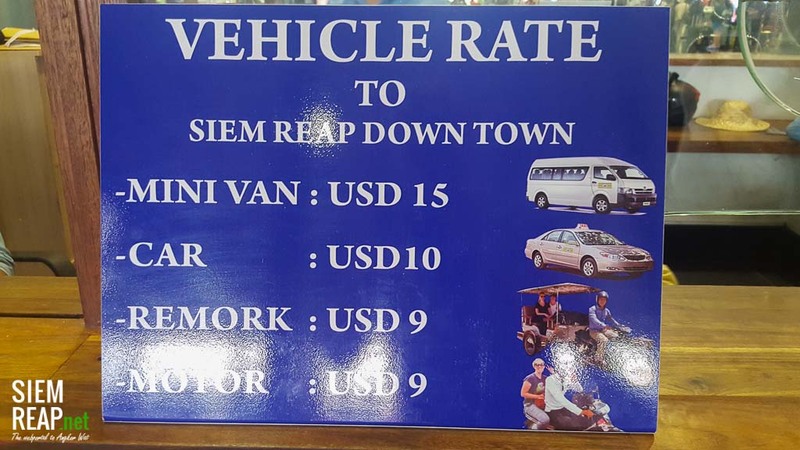 I read on one of the Siem Reap expat groups that getting from the Siem Reap International Airport into town had gotten more expensive (for the second time this year). I’m talking about the official taxi stand, immediately after exiting the airport building, where you can book a minivan / taxi / tuk tuk / motorbike into town. 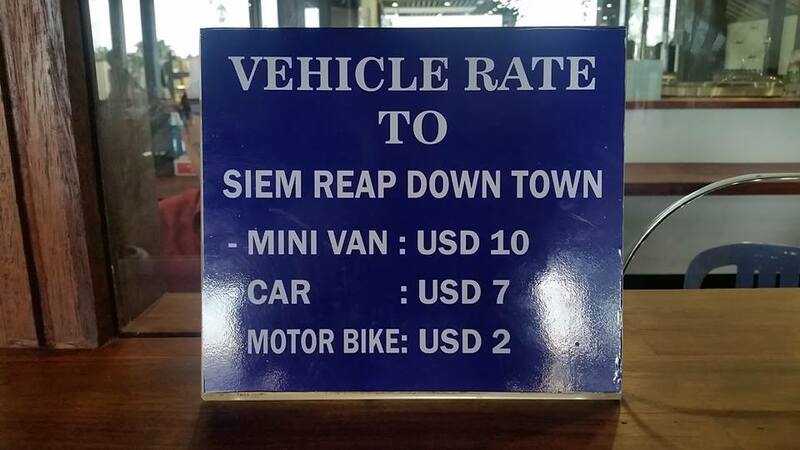 Since the information on the Siem Reap expat group was not 100% clear, I went on a small mission to the airport today to find out the correct pricing. Prices have gone up since April 2017 and there are now day-time (6am – 11pm) and night-time (11pm – 6am) prices. 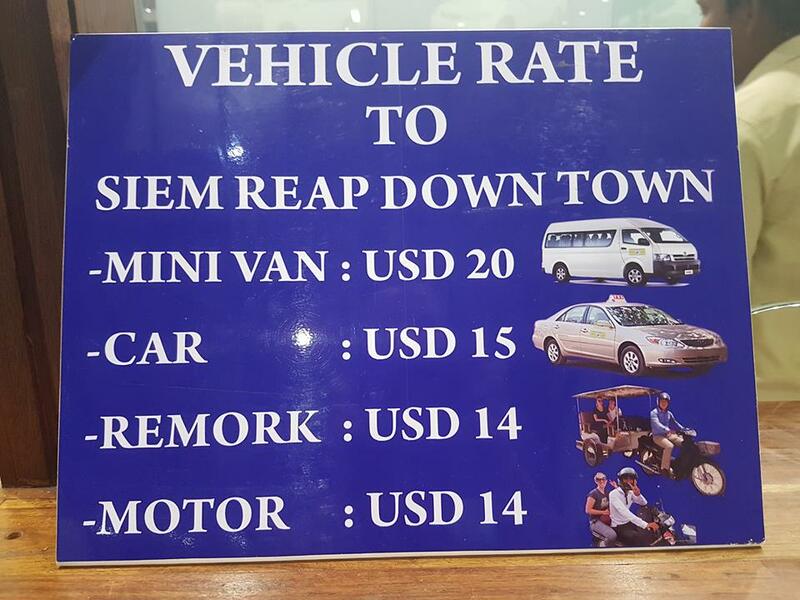 This is the official taxi / tuk tuk desk at Siem Reap’s airport, which charges the increased prices. However, you can still find a tuk tuk outside the airport for 5 – 6 usd. Just walk away from the arrival hall and cross the parking lot towards the exit. 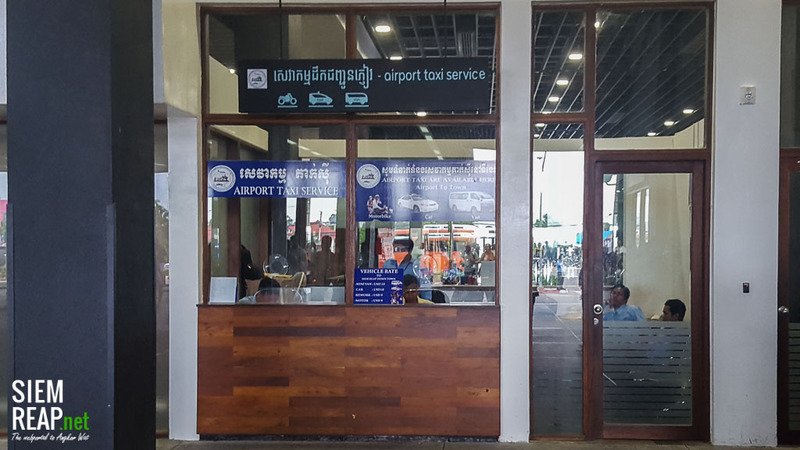 Once outside the airport premises, it will be easy to find a tuk tuk driver to bring you to town. Alternatively, many hotels offers a free airport pick up. Make sure to check with your hotel before booking!